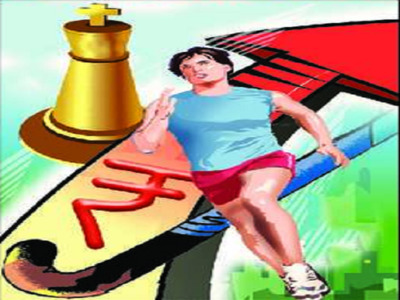 BHOPAL: The state sports department has launched scholarships for medallists in state-level championships. To be eligible for it, sportspersons must have MP domicile and their age must not be more than 19 years as on April 1 of the year in consideration. This announcement was made in the sports department’s gazette notification on March 8. Besides this, there is a special scheme for Mt Everest climbers and those crossing the English Channel who will also get financial support upto Rs 15 lakh. Grants will be available to the domicile of MP and for a maximum for two sportspersons for climbing Mt Everest. In case of more than two sportspersons, the decision will be taken a committee. A maximum of Rs 8 lakh registration fee of Himachal Pradesh government or related China-Nepal governments as royalty fee for the ascent of Mt Everest will be provided in advance from the amount of Rs 15 lakh. This scholarship is not available for waters sports, equestrian and shooting where infrastructure is limited in the state. For these games, the sports department will form a screening committee on the basis of the number of sportspersons, popularity of the sport, sportspersons’ performance and availability of budget. The director sports will take a decision as per the recommendations of the screening committee. The notification stated that sportspersons residing in sports academies, training centres, and sports hostels are not eligible for scholarships. Athletes from SAI or those receiving sports scholarships from another source are also not eligible for scholarships. The sports scholarships will be approved at the district level. Athletes must submit their applications in the prescribed format by the sports directorate by May 31 every year. Sportspersons who have won medal in the statelevel championship in divyang category will be also eligible for scholarship. Eligible sportspersons who earn gold, silver and bronze medals in the statelevel championships will get an annual scholarship of Rs 10,000, Rs 8,000 and Rs 6,000 respectively. 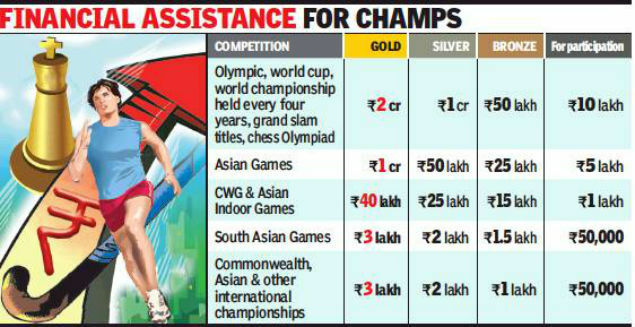 In case of a sportsperson getting a medal in more than one event, only one scholarship will be given to him.